The Duke and Duchess of Cambridge and Prince Harry undertook a series of engagements today in London to mark World Mental Health Day. 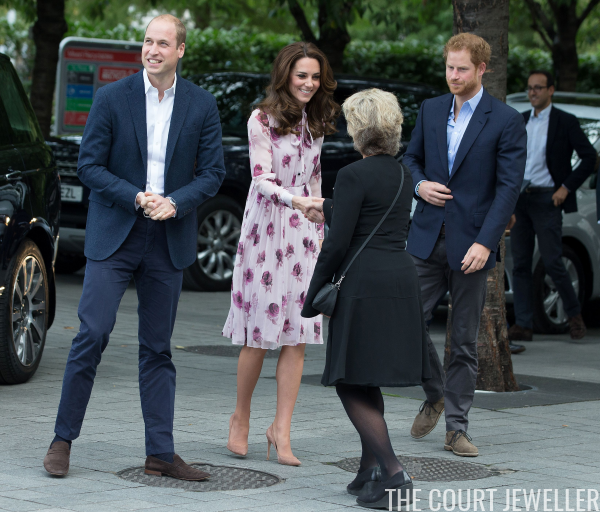 Kate wore familiar earrings to highlight a cause that the Cambridges have worked closely with in recent months. 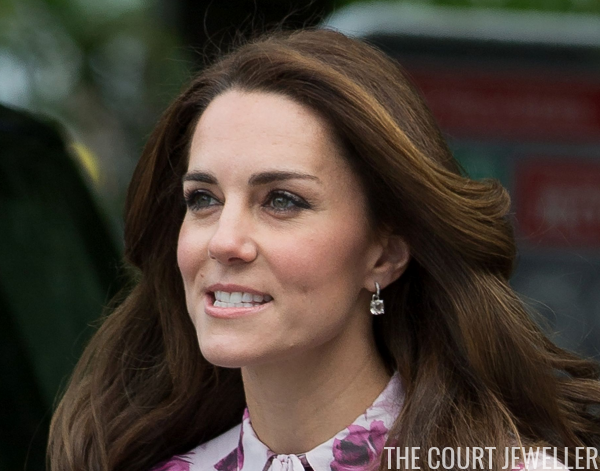 With a new dress from Kate Spade, Kate wore her diamond and morganite drop earrings from Kiki McDonough. The cushion-cut morganite drops are interchangeable with other stones. 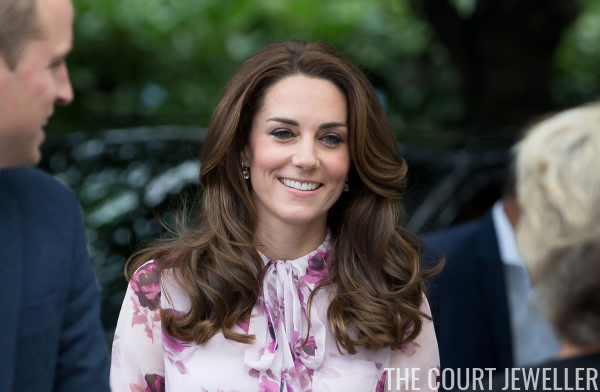 Kate's had these for some time, and their pale pink color makes them easy to coordinate with a variety of outfits. Here's one more look at the earrings. I like these quite a lot -- morganites are actually on my list to add to my own collection. What do you think of the earring choice?